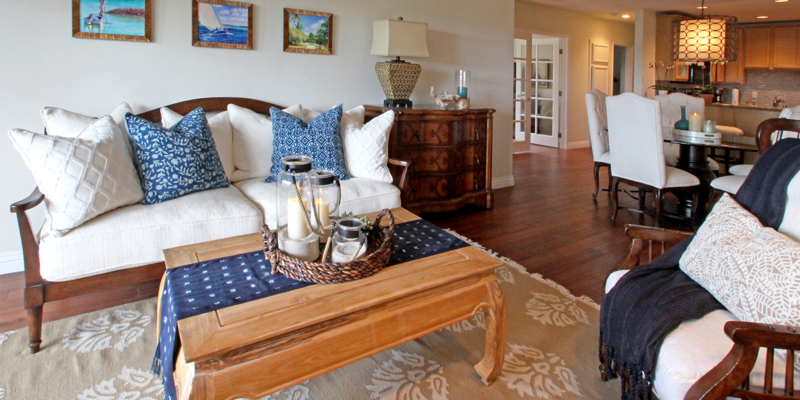 Just blocks away from the ocean, this charming beach house reflects a relaxed yet elegant personality. 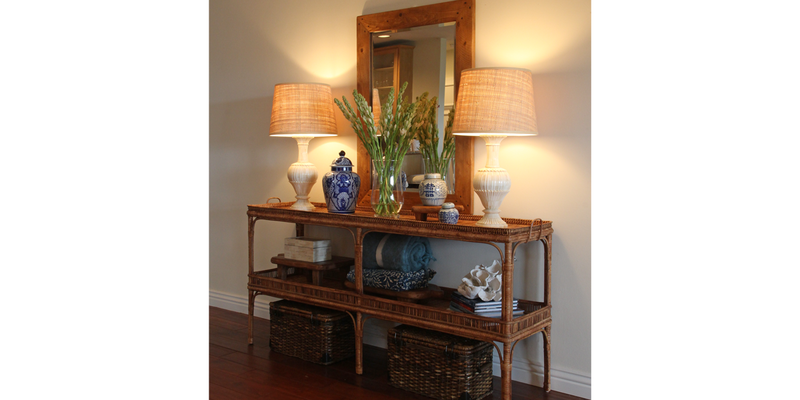 An island feel is achieved with rich indigo blues in the living room accessories, as well as the beautiful rattan console that greets visitors in the entry. Using soft colors of ivory, sand and pale aqua in the den gives a tranquil feeling to this room that combines antique finds with custom pieces. 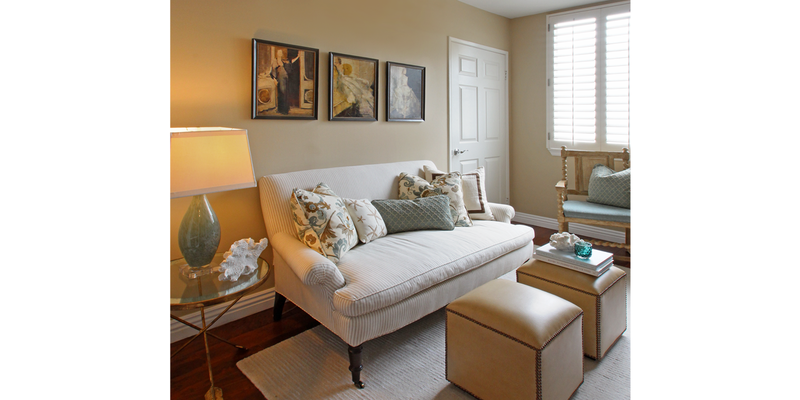 A cherished heirloom painting was the catalyst for the choice of color palate in this room. 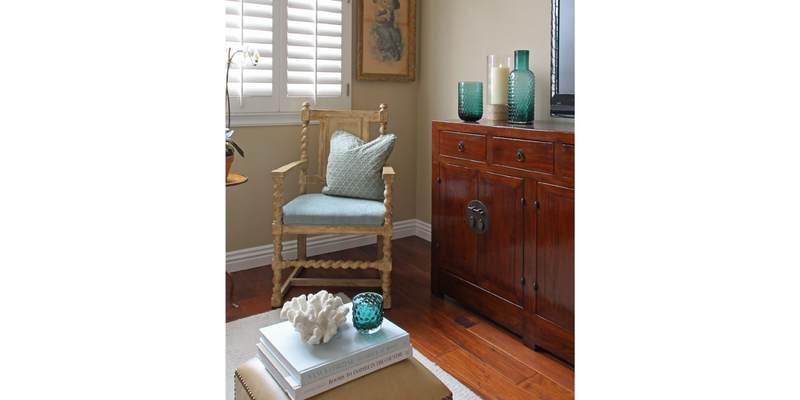 The Chinese sideboard was utilized as both a TV cabinet and provides needed storage. 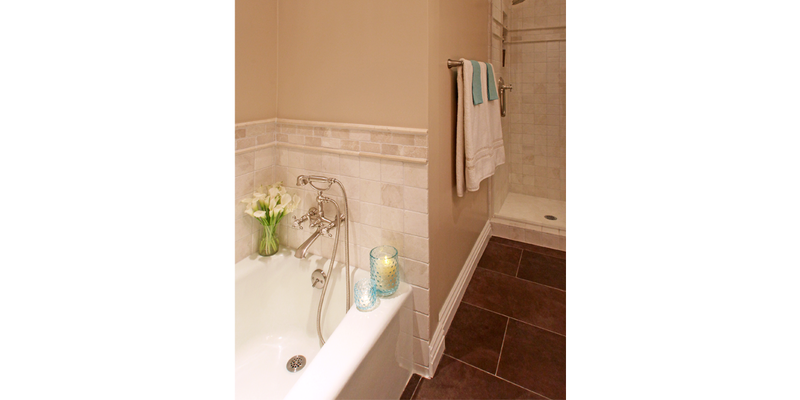 In the bathroom, we used tumbled limestone tiles, brushed nickel fixtures and a soft sand color on the walls to create this restful coastal retreat.